Woodland Creek’s forged wrought iron curtain rod brackets help “support” your love of rustic decor! The best undertakings in rustic decorating demand a certain level of attention to detail. 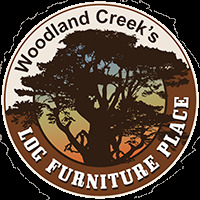 To that end, Woodland Creek’s supports your love of rustic furniture, cottage furniture and country decorating with a full range of country decor accessories in all shapes and sizes – including wrought iron curtain rod brackets built to withstand long-term use. They’re a perfect match for our 1/2” curtain rods. Country furniture, western furniture and log furniture settings vary greatly from one to the next. 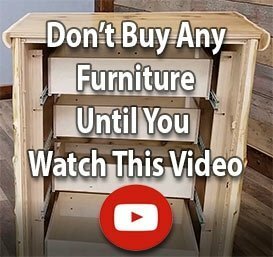 That’s why Woodland Creek’s offers a variety of hardware and accessories designed to make your own unique wood furniture environment come alive. Structurally, a flat black powder coating helps extend the life of our U.S.A.-made window hardware by guarding against rust – indoors and out.